Having a bad credit rating can make it difficult to buy home insurance. We’re here to help! Here at HomeProtect we take a different approach because we understand that having home insurance plays an important part in helping you to sort out your finances and move on with your life. That’s why we provide online home insurance quotes to customers with very poor credit histories. It only takes a few minutes to get a quote and buy online. You don’t even need to talk to us unless you really want to. Although we offer two payment options for your premium – monthly and annual up front – the monthly payment option requires you to have a credit score check undertaken by the credit provider. So if you have a low credit score, the easiest and least stressful payment method is to pay for the annual premium in one go with a payment card. This is also cheaper in the long run. You don’t have a single credit score. Several credit reference agencies exist and each maintains their own scores. A lender may use any of these as well as other sources of information about your reliability as a borrower when deciding whether to lend to you. Your credit score is not affected by previous residents at your address or family members unless you have a financial connection with them such as a joint bank account or mortgage. 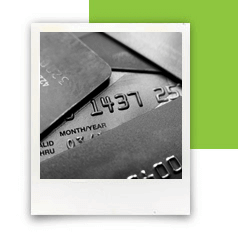 Late or missed payments on credit cards or loans damage your credit rating. Persistently only making the minimum monthly repayment on your credit card can also lower your credit score. Need insurance but have a low credit score?